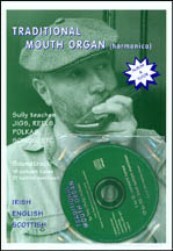 This tutor by Tony Sullivan teaches you how to play in the traditional English, Scottish & Irish style. It describes correct techniques for playing single notes & chords, uses a course of scale excercises, reveals techniques such as triplets, staccato chords & melody alterations & much more. Supplied with CD.